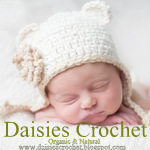 Daisies Crochet: THANKSGIVING DAY giveaway. THANKSGIVING DAY CELEBRATION - GIVEAWAY!!! First you leave a comment and then sign in the form below to provide your name and to state that you have commented (please use the same name). After you indicate that you have left a comment on this blog post, you will see options for additional entries such as blogging (3 additional entries), sharing at Facebook (2 entries more), etc. This giveaway is open worldwide. You should be 18 years old and above to qualify. All entries of the drawn winner will be verified. UPDATE: The Winner is Jenny!... Congratulations; I will mail your prizes to you within a couple of days! Many thanks to everyone who participated, and please check back for more giveaways! I always wanted to try crochet :) Maybe this time! Thanks! Your patterns are cute! I love the neck ones (022, 023, 030, 032) and nesting bowls 016. Thank You! 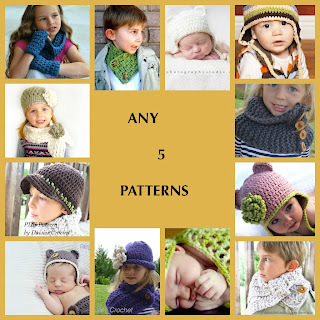 I love your patterns and would love to win!!! Great idea! 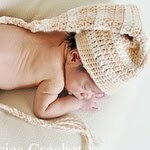 I'm crocheting my very first piece and would love to try a pattern of yours next!